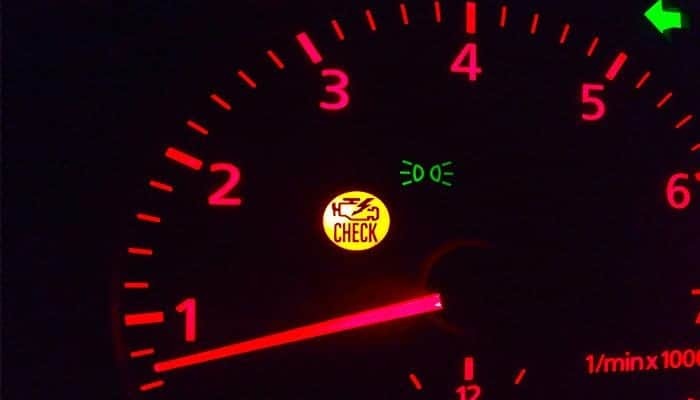 Home » Blog » Why is My Check Engine Light Flashing and Car Shaking? The check engine light or malfunction indicator lamp in your car is there as part of a warning system that lets you know that there is an issue with the powertrain of your vehicle. The powertrain can be your engine or your transmission. If you have all-wheel drive, then it can include all-wheel drive element. Basically, all the things that you need to make your car move are considered to be part of the powertrain. Therefore, when the check engine light flashing, these are the systems that are probably affected. The blinking is a clear sign of danger. Well, most experienced car owners will quickly take their cars for investigation. However, there are others who may not take the matter seriously. In this article, I will tell you why it is not wise to keep on driving with the service light is flashing. 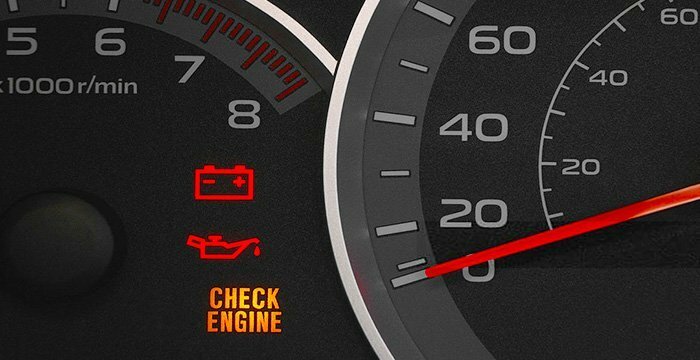 What Should I Do When My Check Engine Light Is Flashing? The check engine light, service engine soon, or malfunction indicator lamp is part of your vehicle’s onboard diagnostics system. The system is run by your vehicle’s computer, which is known as the electronic control module (ECM). For instance, an actuator or a sensor may spot a misfire, unpredictable operation of the fuel pump, unusual output voltage, poor fuel injection or any other situation that might interfere with the engine emissions or performance. Usually, the computer system of your vehicle would wait a few cycles or try to rectify the problem. When the computer is unable to rectify the problem, the on-board diagnostics system will have a diagnostic trouble code stored in the memory, which in turn causes check engine light flashing. There are basically two types of monitoring that your engine computer does: continuous and non-continuous monitoring. During continuous monitoring, systems in your vehicle are continuously monitored and checked anytime the engine is on. Some really common ones are engine misfire and engine timing concerns. If something goes wrong with the two, then there can be a serious failure. When it comes to non-continuous monitoring, your vehicle’s engine computer will run the required tests when the conditions are right. For instance, when your engine computer runs the catalytic converter test, it has to conduct the test when the catalytic converter is at the ideal temperature. Mostly, your engine computer conducts two-trip monitoring. Generally, it takes two failures before your check engine light will actually come on in your vehicle. If your car’s control system discovers problems that it cannot handle, the check engine light will turn on. In addition, the computer will have a trouble code stored in the memory. The code’s main function is to determine the origin of the problem. To read the code, you will need a diagnostic computer or an electronic scan tool. There are also several low-priced code readers on the market for DIY. Typically, the code will only direct you towards the problem, but you will need an expert to do a full diagnosis and repair. The check engine light blinking then goes off, the condition is referred to as soft failure or intermittent. This problem usually occurs when there is a specific condition, such as a broken wire, which connects and disconnects, causing the light to go on and off. Continuous illumination occurs when the light turns on and stay illuminated. Normally, this indicates a hard failure. For instance, a dirty mass air flow sensor may cause the light to continue to illuminate until you replace or clean the sensor. If the check engine light is steady, the issue may not be an emergency. Modern vehicles are very advanced, so you may not experience deterioration in performance. However, I suggest you schedule an appointment with an automotive mechanic as soon as possible. When the service engine light flashing is continuous, then you have a serious problem that can lead to grave damages if the problem is not addressed. In most cases, a misfire can cause the light to flash continuously. Check engine light flashing car shaking is a clear sign of trouble. Vibration or shaking may be caused by misfires, poor fuel pressure, or faulty spark plugs. You should also know that a defective idle air control valve might make the engine idle drop significantly. This may cause the motor to vibrate or shake abnormally. This can lead to a loss of power that vibrates all over the motor, leading to other issues, such as fuel timing and ignition. A misfire always develops a disproportion in the motor, causing vibration or shaking. Another issue that may cause check engine light blinking car shaking is a broken engine mount. Basically, engine mounts are rubber mounted props that grip the engine into position to the chassis of the vehicle. If the mounts weaken or break, heavy vibration or shaking will be experienced. If you experience, check engine light flashing and car vibrating, I would strongly recommend you to have an expert inspect and diagnose your vehicle. You have a number of options. You can take your car to your local dealership, and have them do a full diagnosis. Usually, dealerships have extensive knowledge of vehicles. For example, Chevy Cobalt know their cars very well; so, that is a great option. There are also many independent shops that specialize in different brands, maybe the brand of your car including Acura, Chevy, Dodge, Ford, Honda, Hhummer, Jeep, Nissan, Subaru, Toyota, GMC etc.. You can even take your car to such shops for a full diagnosis. The third option that you can settle for is buying your own OBD-II scanner and conduct a DIY. With each of these options come some advantages and disadvantages. If you take your car to a dealership or an independent shop, odds are you are going to be charged a diagnostic fee. The good thing is that they will have all the info and equipment needed for proper diagnosis. Using your own OBD-II scanner, you may save money in the diagnostic process. However, you might not have all the repair and all the diagnostic information. You may also lack the test equipment for properly pinpointing the problem with your car. You should always find out the reason behind your check engine light flashing. If you are well-informed, then self-diagnosis is a great option. Self-diagnostic systems of nowadays are very advanced, and they do more than typical monitoring operations. However, if you have little or no knowledge of engine problems, then I strongly urge you to seek the help of a professional. You can get the appropriate services from dealerships and independent shops. Thanks so much for this blog, very helpful. We took our car to an independent shops and did diagnostics but told us they couldn’t find any code showing up in their computer and can’t find the problem. So now we just wasted over $100 for diagnostic that really did not give us anything. We were told to bring the car to a car dealership. Do you think the dealership would know fully? Thanks for advice. You are most welcome. Please describe your problem. Beside that, an expert can find out the problem easily. My engine light is blinking but then stops after a few minutes. As soon as I press on the gas to start moving my car starts vibrating all over. Takes about a good minute to get passed 20mph. Any advice? The job of the obd scanner is to provide the exact problem by showing you a code. Use a scanner tool to get the error code as soon as possible. When your vehicle is running, the alternator takes over the job of supplying power. Due to this fact, I doubt that the battery can the cause of the lack of acceleration problems. I would suspect that, this is caused either by a faulty sensor or an ignition / fuel system component which is dirty, has a bad electrical connection or is damaged and requires replacement. It’s better to have a professional come to your location to complete a car is slow to accelerate inspection to determine the source of this problem.